Let the Doctor fix it! Bottom painting, metal flake repair, gel coat rejuvenation, insurance claims, interior repair, vinyl restoration, color matching... we do it all. The Gel Coat Doctor can make your damaged, scratched, or weather worn boat have that showroom shine again. The Doctor is a fiberglass specialist who removes annoying spider cracks, restores and repairs dents, dings, and chips – even in flake metal finishes, and has an artist’s eye for color matching. Gel Coat Doctor makes insurance claims simple and woks with all insurance companies. 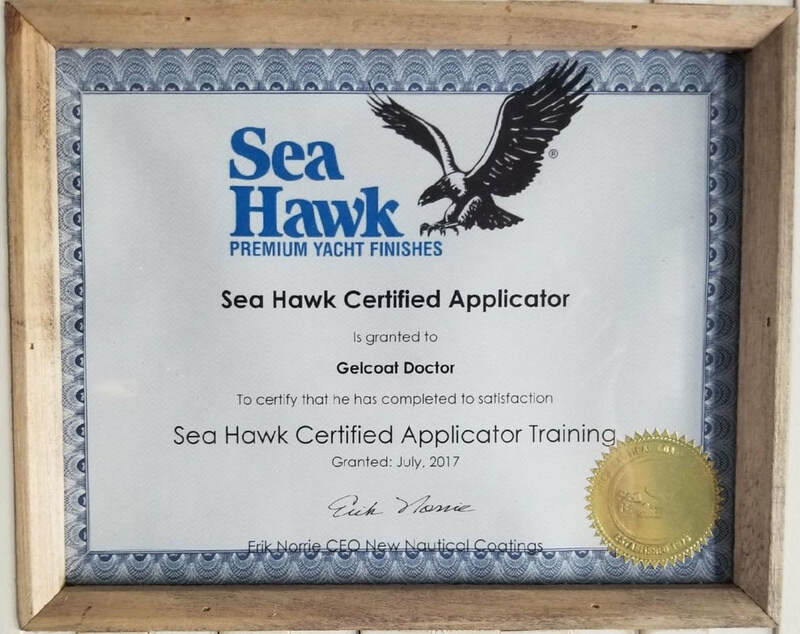 Whether it’s a chip off the console or a hole in the hull, the Get Coat Doctor is ready to with the tools, technology, and know – ​how to make your boat beautiful again.